At Teaneck Appliance Repair we offer dependable dishwasher repair the same day you request it. We are devoted to providing good old fashioned customer service that you cannot wait to tell your family and friends about. Word of mouth advertising is an effective tool in growing a strong customer base. 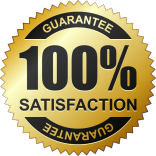 When we guarantee customer satisfaction we are also forging long term relationships that will grow our business. We specialize in administering the installation, maintenance and repair of all dishwasher makes and models. Our dishwasher technician is certified and fully qualified to provide any service quickly, accurately and at a fair rate. There are quite a few different dishwashers being utilized in homes today. Some people prefer countertop models; while others favor the portable type. You may prefer a unit that can be plugged directly into a receptacle, while someone else might want it permanently hard wired. In any case the unit will need to be connected to the power and water supply and it helps to have an experienced professional to do the job right. Our dishwasher installation team is highly skilled, detail oriented and efficient. We offer several dishwasher maintenance packages that are budget priced and designed to eliminate many possible repair needs. Our technician will visit your home on a regular basis and go over your unit with a fine tooth comb to ensure it is operating at peak efficiency. He can check all of your other home appliances at the same time. 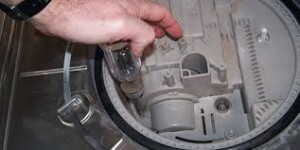 Appliance Repair Teaneck is proud to offer worry free dishwasher repair in Teaneck, NJ. Our super fast response times and outstanding dishwasher troubleshooting skills make it possible for us to detect problems in no time at all. We have worked hard to become the most respected dishwasher repair team in the area. 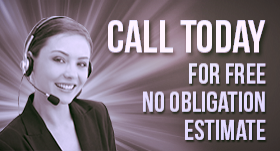 Get in contact with us today and allow our professionals to work hard for you too.